This spectacular bird (Rupicola peruvianus) is much prized by birders. It is actually not uncommon in the humid Andean forests of Peru, Colombia, Bolivia and Ecuador. It is often fairly easy to photograph. 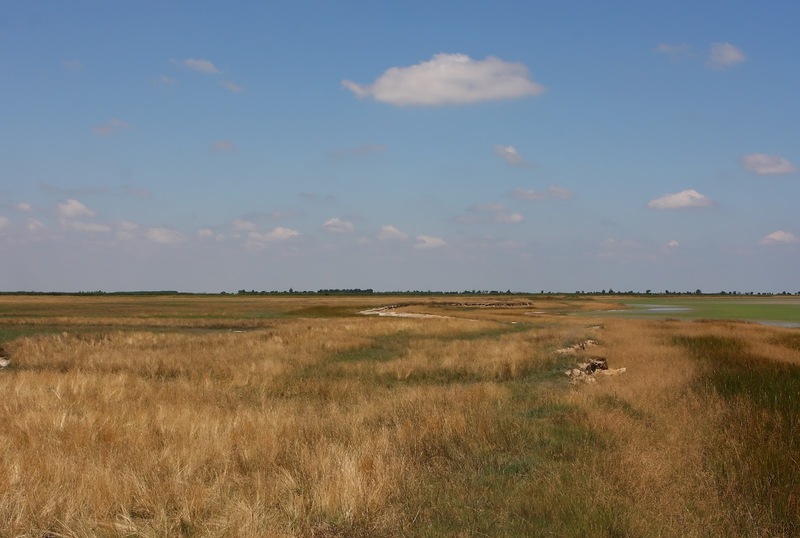 Red-footed Falcons Falco vespertinus are summer visitors to the region breeding in colonies in Hungary and parts of the Balkans. This great photo taken by Gabor Kovacs. The Ugandan Kob Kobus kob thomasi is a race of the Kob, an antelope found in central-eastern Africa south of the Sahara, in the wooded savanna belt. Despite the name, this race is not confined to Uganda. Photo of this female by Gerard Gorman. There are several places to stay in and around the Mburo NP in Uganda. Prices vary, but generally there are few bargains to be had. The Arcadia Cottages are a good standard, set right in in the park itself, near the lakeside. Mammals can be seen close-up here, even in the grounds themselves. The restaurant, too, serves fine meals and the staff very helpful. Grey Crowned Crane Balearica regulorum occurs over much of eastern and southern Africa. It is the national bird of Uganda, even appearing on the country's flag. Lake Mburo lies in south-west Uganda, near Mbarara. As it is "just" 260 square km (about 100 sq.miles), it is a great place to get close to Warthogs, Zebras, Buffalo, a range of antelopes, and many, many birds, including Shoebill and the country's national bird, Grey-crowned Crane. It is not the best place to see Lion or Leopard, though they are here. The park is mostly acacia-dotted savanna, but the centre-piece is Lake Mburo itself where Hippos abound. There are accommodations of all standards both within and just outside the park. 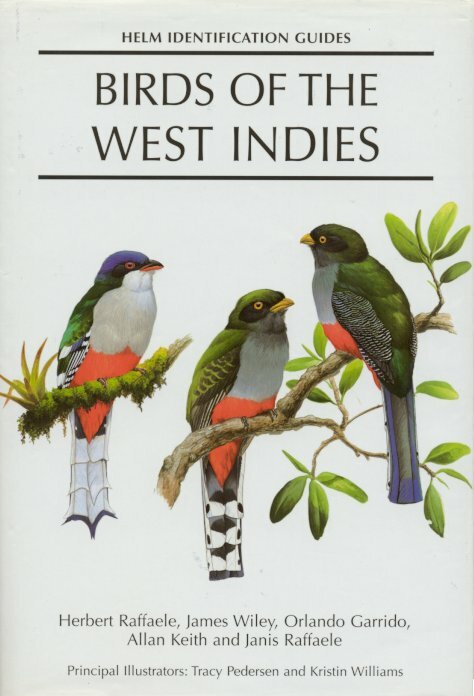 This very attractive 311-page Helm guide to the birds of the West Indies is essential for any visitor to that region, whether a keen birder or not. It is written by a team of authors and packed with information, not only of how to ID the birds of the region, but also much background info on, for example, Bio-geography, Migration, Conservation, Endemic species and a Locality Checklist. Every species has a range map and some of the colour plates, especially of the many colourful birds such as trogons, todies, orioles and parrots, are superb and whet the appetite. Published by Helm (A&C Black) London, in 1998. ISBN 0-7136-4905-4. The Paklenica National Park lies along the Dalmatian coastline of Croatia. Zadar is about 46km to the SW. The centre-piece is the spectacular Velika Paklenica gorge, though this can be packed with rock-climbers and so is not always the best place to find wildlife. Chamois are on the high-tops, the rugged karst here hosts Rock Partridge, Rock Thrush, Rock Dove, Rock Nuthatch and Rock Bunting lower down. In summer reptiles include Dalmatian Algyroides and butterflies are everywhere. 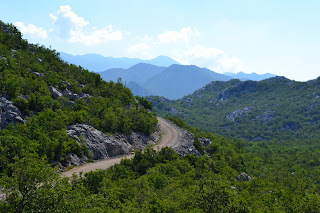 Paklenica is a great place for those who like to combine trekking and wildlife watching. 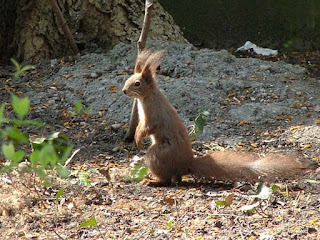 The Red Squirrel Sciurus vulgaris is not always red. They range in colour from pale to black. 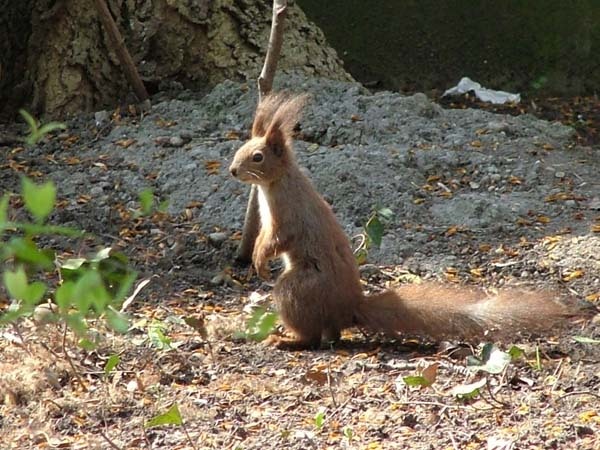 Now very localised in Britain, they are still common across most of Europe, mainly in broadeaved woodlands but also in city parks and even gardens. Those in the latter habitats are often easy to photograph.